Happy Retirement to Brother Joe! 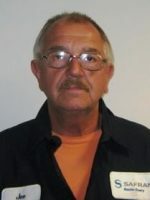 Brother Joe Tune is retiring after 12 years of service at the Ajax plant. Happy Retirement Brother Joe!